Written by Will on October 26, 2012 and posted in Game Art and Video Game Charity. Assassin’s Creed games have had pretty good marketing campaigns over the years (like the Tobuscus Literal that was used in the TV advert worked a treat). This one takes the term ‘good’ to a whole new level – an educational level, a charitable level and a meaningful level. 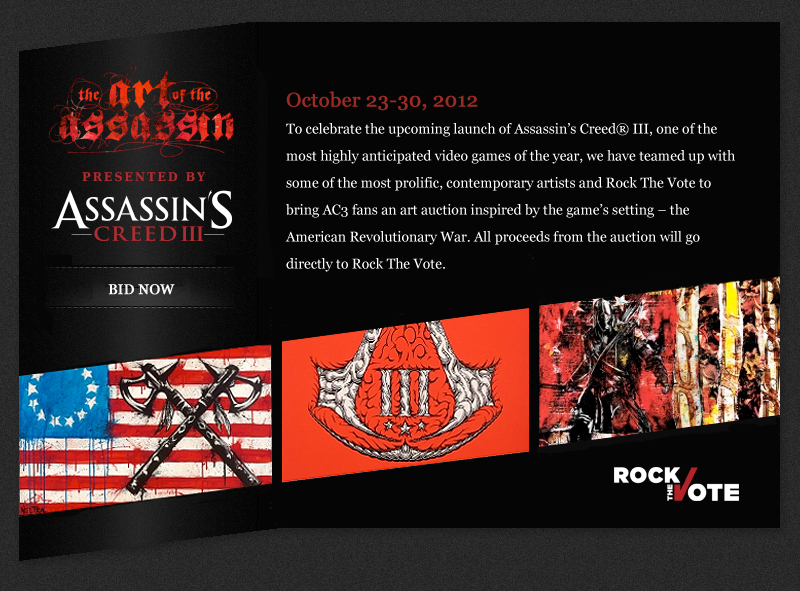 Ubisoft are running an Auction on Ebay for the non-profit organisation Rock the Vote. The aim of Rock the Vote is to educate the young people of America on the political issues they face and encourage them to vote through music, technology and pop culture. This in turn gives them the knowledge and power to take action on the issues that effect their lives and leverage that power in the political process. 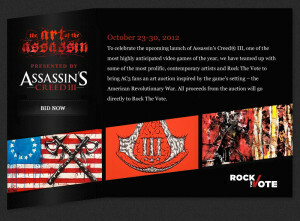 It’s a great idea – and marvelous marketing and PR for Assassin’s Creed III. 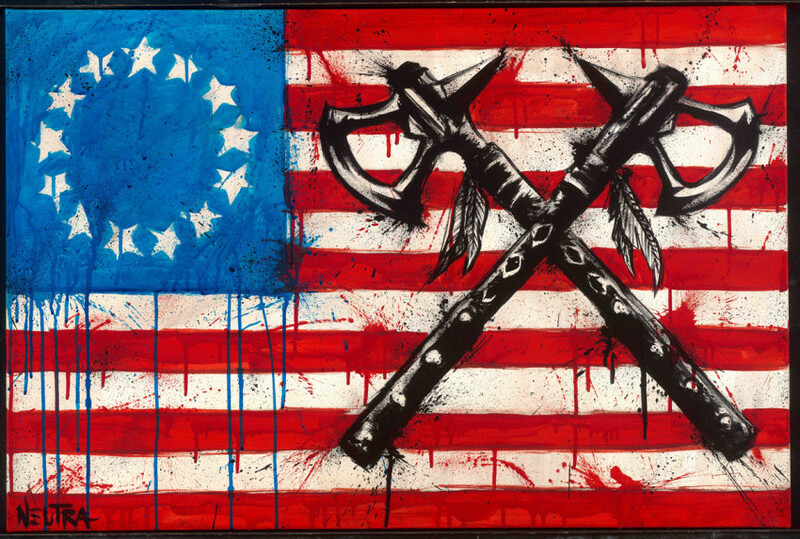 The artwork comes from the recent art tour Assassin’s Creed III has had – with Assassin’s Creed art inspired by the Revolution – around New York and LA. The artwork featured is pretty cool and all proceeds go to Rock the Vote so if you have enough money you should get one of these pieces. They are all completely original, one-off, pieces made by contemporary artists. I’ve featured a few below but there’s many more on the auction page. 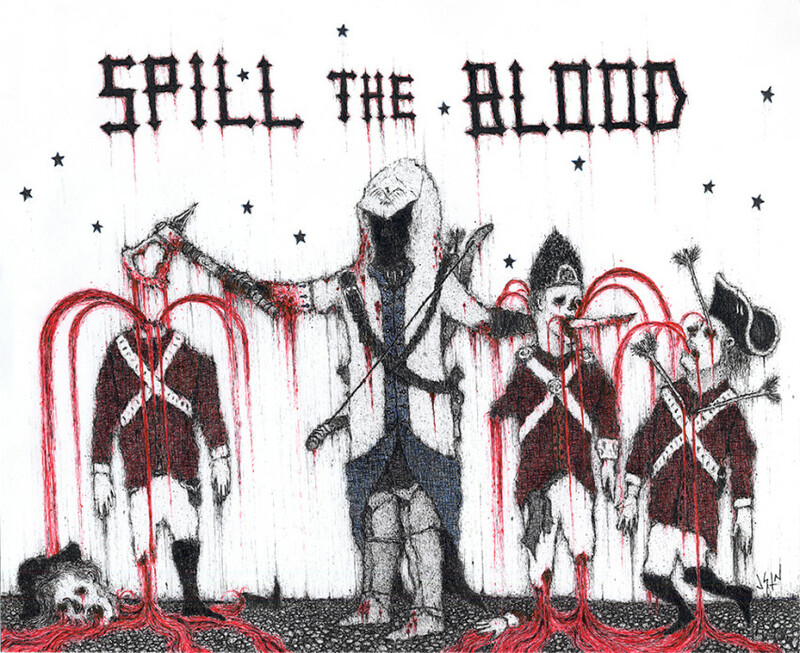 This one is a little peculiar (for want of a better term haha)… that’s part of the appeal – It makes it striking. It’s very occult. 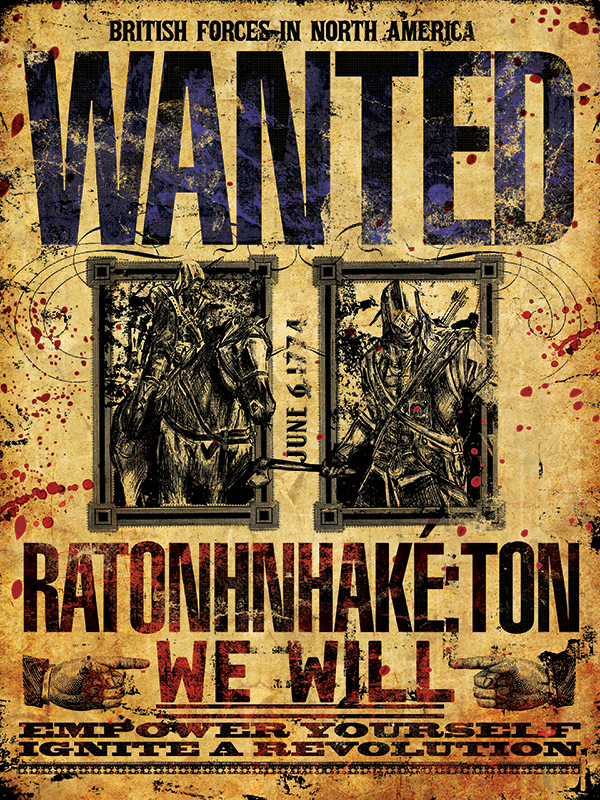 Doesn’t this look like it should be the actual ‘Wanted’ poster in the Assassin’s Creed games? 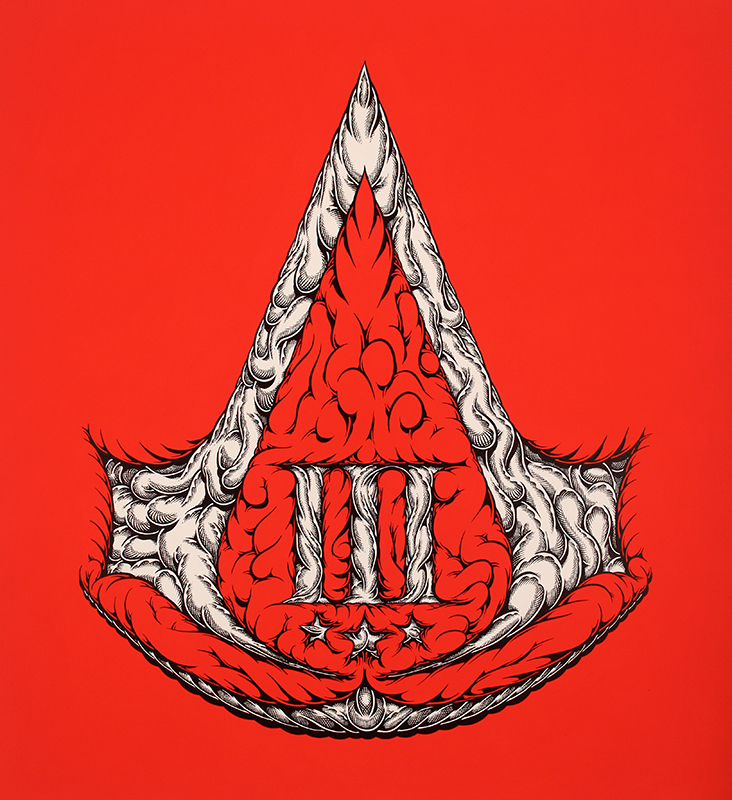 A slightly more ornate take on the Assassin’s Creed logo. And just in case you haven’t seen it already here’s the launch trailer for the game. To go to the auction click the image to the below.